Samsung Electronics today unveiled its new flagship device - Galaxy Note8. 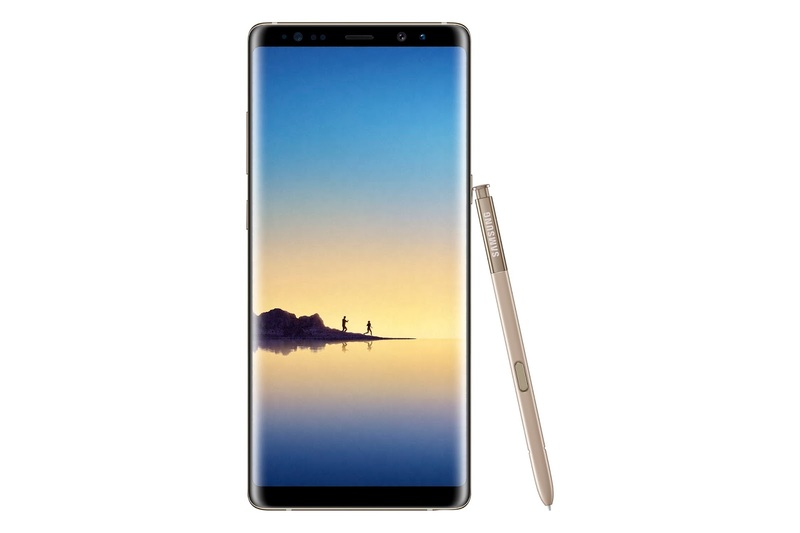 The Galaxy Note 8 is the next level Note for the people who want to do bigger things. It is a Dual Nano Sim supported device with Hybrid Sim Slot feature. The Galaxy Note8 provides consumers a bigger, 6.3-inch sized Quad HD+ Super AMOLED Infinity Display with 2K resolution and 521PPI pixel density. Note8 fits comfortably in one hand along with S Pen to communicate in more personal ways. It also provides amazingly sharp and rich tru-to-life colors. 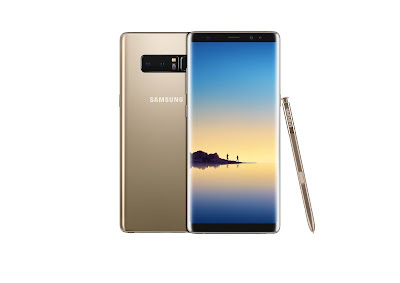 Note8 has a Octa core - 2.3GHz Quad + 1.7GHz Quad, 64bit,10nm Powerful Processor with 6GB LPDDR4 RAM support with 64GB – 128GB & 256GB storage options with additional expandable memory up to 256GB that makes enables the user to browse, stream, play games and to do multitasking activities with ease. This handset comes with Water and Dust Resistance at IP68 level consistency. The device comes with a S Pen with this pen you can even write on wet display. Like other latest devices from Samsung it also includes Bixby8smartness in it that makes device learns from the user and gradually improves to do daily routine tasks. It also packs a DeX feature in it for use of a bigger screen with the help of the device. For Software support it runs over Android’s latest operating system Nougat 7.1.1. It features Cat16 network support. Galaxy Note8 Camera is Samsung’s best-ever Smartphone camera to capture stunning photos. Galaxy Note8 is the firstever smartphone from the Samsung that comes with Dual 12MP Primary Wide Angle & Tele Photo Lenses (OIS) Cameras with Dual Pixel Sensor – Dual Capture feature. In Dual Capture mode, both rear cameras take two pictures simultaneously and allow you to save both images; one close-up shot from the telephoto lens and one wide-angle shot that shows the entire background. For more advanced photo-taking, the Galaxy Note8’s Live Focus feature lets you control the depth of field by allowing you to adjust the Bokeh effect in preview mode and after you take the photo. Samsung Galaxy Note8 also supports Fast Wireless Charging. For Security it offers a fingerprint scanner and iris scanner with biometric authentication options. It also provides defense-grade security of the device and user data with the help of Samsung Knox feature. Galaxy Note8 also has NFC support feature in it. It packs a 3300mAh battery with Quick Charge-2.0. The Galaxy Note8 will be available starting in mid-September and will be offered in Midnight Black, Orchid Gray, Maple Gold and Deep Sea Blue9. Color availability may vary from region to region.